Later this week I am hosting a Birthday Card Stamp-A-Stack workshop! We will be making 3 each of 4 different cards for a total of 12 cards. I added a new twist to this stamp-a-stack - all cards are 3.75" x 8" - cards that fit a legal size envelope. Rustic Chic is featured patterned paper for all of the cards. 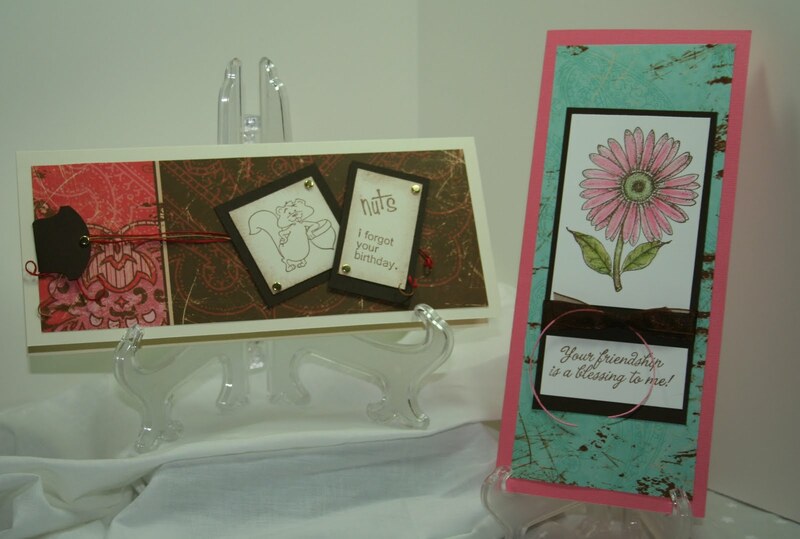 The August Stamp Set, So Squirrely, plus Gerbera Daisy, and Inspirational Sayings are used on these two cards. Embellishments include Scrappers Floss, brads, and ribbon. 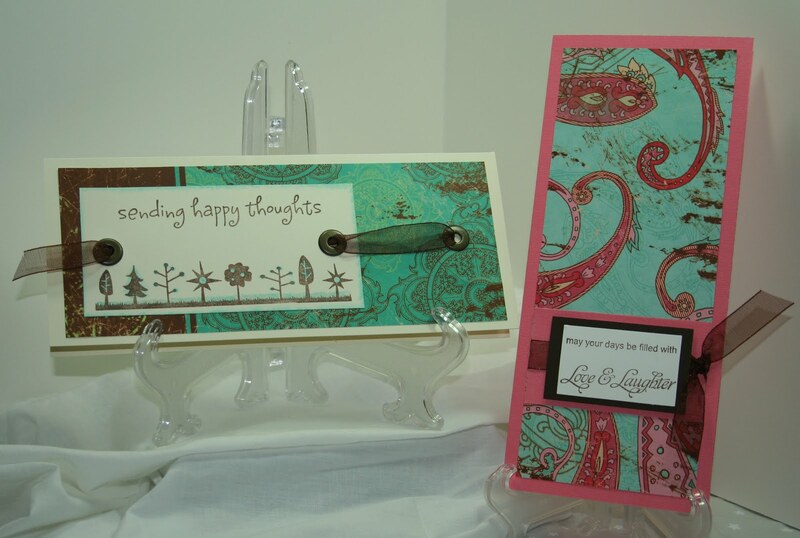 Happy Thoughts and Love and Laughter are the two stamp sets for the last 2 cards. Embellishments include Jumbo Eyelets and ribbon.